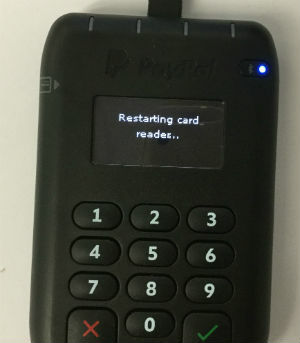 How to Update your PayPal Card Reader's Firmware. 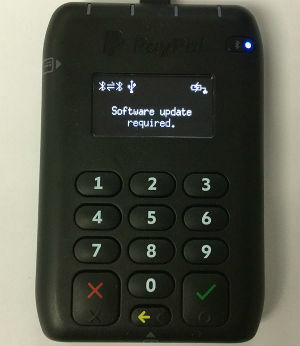 The steps required to update your Paypal Card Reader's operating firmware. Hardware Manufacturers use embedded software to control the functions of various devices, known as 'Firmware'. Periodically this firmware will be updated to fix bugs, roll out new features and improve security. When an update for the card reader is available the LED screen on the card reader will inform you of this. 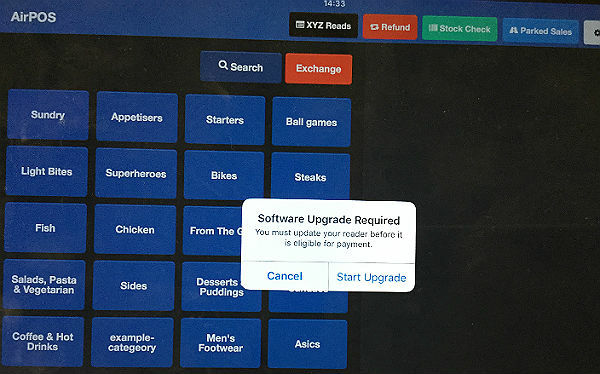 Also in the AirPOS app you'll see the following popup message. Just tap on the 'Start Upgrade' button and your card reader will start to update. This will take a few minutes and the screen on your tablet or iPad will display the progress. ... and that's the update complete.